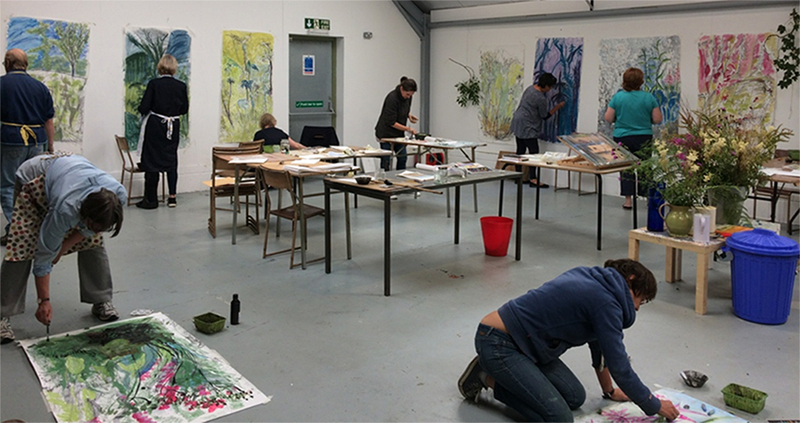 Working in the fabulous studio space at Fine House farm in the Northumberland hills, you will draw inspiration from the surrounding meadows and woodland working both collaboratively and individually on large and small scale. For both workshops, the focus is on exploration and experimentation using a variety of materials with guidance and structure provided by Jenny, your course tutor. The first day will allow you to play and create with the second day giving you the chance to develop more sustained independent work. We will work both inside and outside as much as the weather allows. Open to anyone, whatever your level of drawing experience. If you want to spend some time in the wilds of Northumberland, play with materials, learn from each other and enjoy the buzz of creating together then this course is for you! Each course runs from 10am-4pm and costs £120 for the 2 days. Cost includes tuition, materials, lunch, teas, coffee and homemade cake. Check out finehousefarm.com for more information on this idyllic venue.